February Sweet Heart Sale !! Save $6000 !! This 2016 Jeep Wrangler Unlimited Sport is in perfect condition, with Bluetooth, Sirius Satellite Radio System, and a ton of capability. This Wrangler is one of the most capable off-road vehicles on the market, and that's why there is a whole Jeep culture, and with this you could be a part of it. With a 4Lo gear ratio that will allow even the most extreme terrains, you'll love what you can do. Check out the pictures to see some of what options there are, but call to book a test drive to really get a feel of a Jeep. 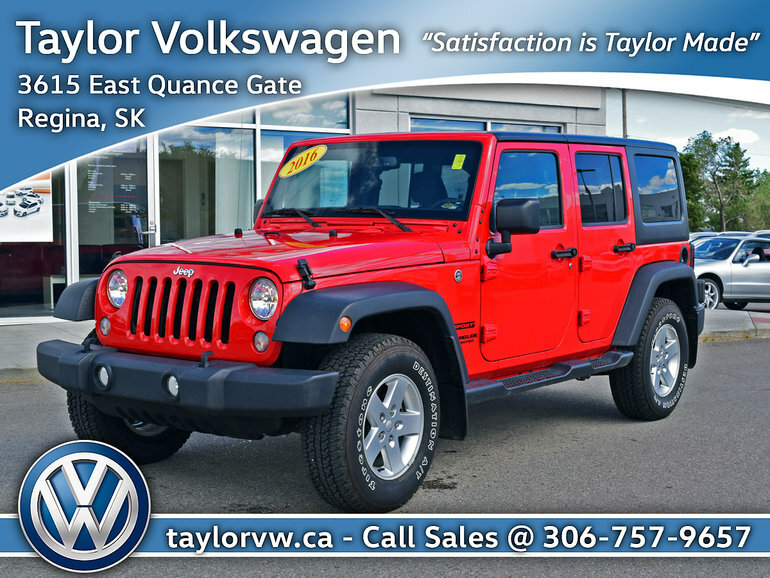 Interested by the 2016 Jeep Wrangler Unlimited Sport February Sweet Heart Sale !! Save $6000 !! ?